We build environments. 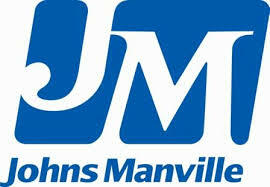 For more than 150 years, Johns Manville has focused on developing materials to make diverse environments stronger, more durable, and more energy efficient and comfortable. We manufacture premium-quality building and mechanical insulation, commercial roofing, glass fibers and nonwoven materials for commercial, industrial and residential applications. JM products are used in a wide variety of industries including building products, aerospace, automotive and transportation, filtration, commercial interiors, waterproofing and wind energy. Through our 7,000 global employees, JM provides products to more than 85 countries and operates 45 manufacturing facilities in North America, Europe, and China.